You are a sailor on a 16th century Spanish galleon anchored in a Florida Bay south of Tampa. You, along with others, are ordered to go ashore for a scouting trip to set up a base camp. 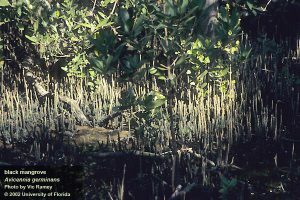 You transfer over to a small skiff and row ashore to find a forest of root tangled mangroves. 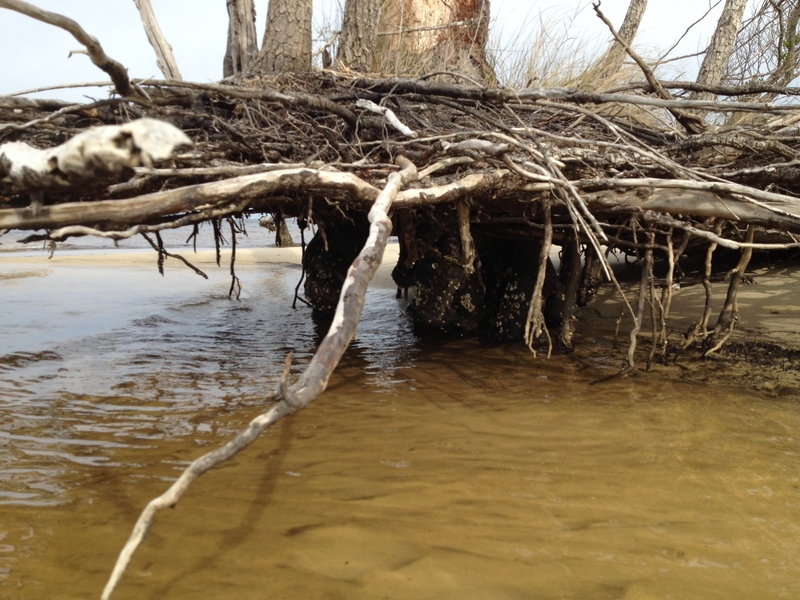 There is no dry beach to land so you disembark at the edge of the trees in knee-deep water. The bottom is sandy and your footing is good but you must literally crawl through the tangled mess of mangrove prop roots to finding dry ground. As you do, you encounter spider webs, numerous biting insects, and the bottom becomes muddy and footing is less stable. I am sure I would have returned to the ship to report to the captain that there is nothing of value here – let’s go back to Spain! 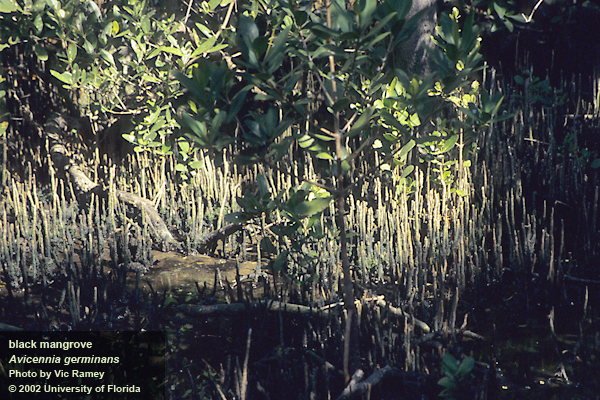 The dense vegetation of a black mangrove swamp in south Florida. Along the shores of northwest Florida it would have been different only that they would have encountered acres of grass instead of trees. 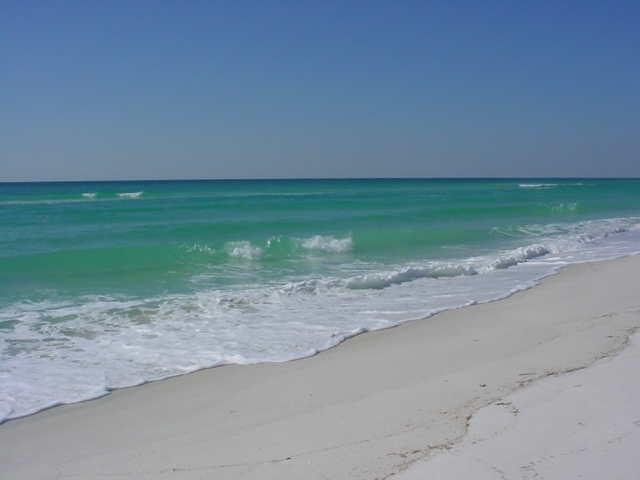 The approach to Pensacola would have found a long beach of white sand and dunes. Entering the bay, they would have found salt marshes growing in the protected areas, with the rare exception of dryer bluffs in some spots – which is where de Luna chose to anchor. These marshes are easier to traverse than the emergent root system of the mangrove, but the muck and mire of the muddy bottom and biting insects still remain. For centuries, Europeans have sought to alter these habitats to make them more suitable for colonization. Whether that was for log forts and houses or marinas and golf courses, we have cleared the vegetation and filled the muck with fill dirt. But have we lost something by doing this? Yes… Yes we have, and some of what we have lost is valuable to us. We have lost our water quality. These emergent shoreline plants filter debris running from shore to the sea during rain events. The muck and mire we encounter within the marsh would otherwise entered the bay or bayou. Here it would cloud the water and smother the submerge seagrasses. 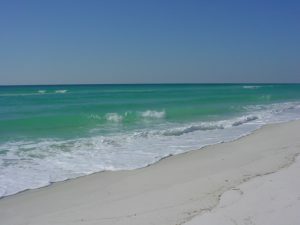 My father-in-law told me that as a kid growing up on Bayou Texar in Pensacola he remembered clear water and seagrasses. He remembered throwing a cast net and collecting 4-5″ shrimp. In our modern world, it is not just mud that is running off towards our bays. We can add lawn fertilizers, lawn and garden pesticides, oils and grease from cleaning, and a multitude of other products – including plastics. We have seen a decline in living resources. The large shrimp my father-in-law talked about are not as common. He spoke of snapper – very few now. Bay scallops are basically gone in Pensacola and have declined across much of Florida’s gulf coast. Horseshoe crabs have become rare in many locations. Moreover, salt marsh/mangrove dependent species, such as diamondback terrapins, are difficult to find. Storm drains, such as this one, discharge run-off into local bays and bayous. 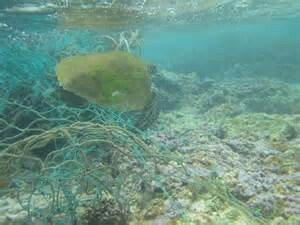 Maybe of more concern is the decline of commercially important aquatic species such as crabs, shrimp, and finfish. It is known that 80-90% of these commercially important species spend at least part of their lives in the marshes and mangroves. And this we are losing. And then there is the shoreline itself. The emergent plants the Spanish encountered actually act as a wave break. Sand running off the land is trapped to form a “beach”, albeit a mucky one, and the wave energy is absorbed by the plants reducing the energy reaching the shore. The damage in south Florida from hurricane Andrew was devastating. But that same storm made a second landfall in the marshes of Louisiana and there was little to write about – the marsh absorbed much of the energy. The removal of these vegetated shorelines has enhanced the loss of coastline across the Gulf States. Can we restore these shores and return these “services”? Whether communities want to or not is another question, but we can. 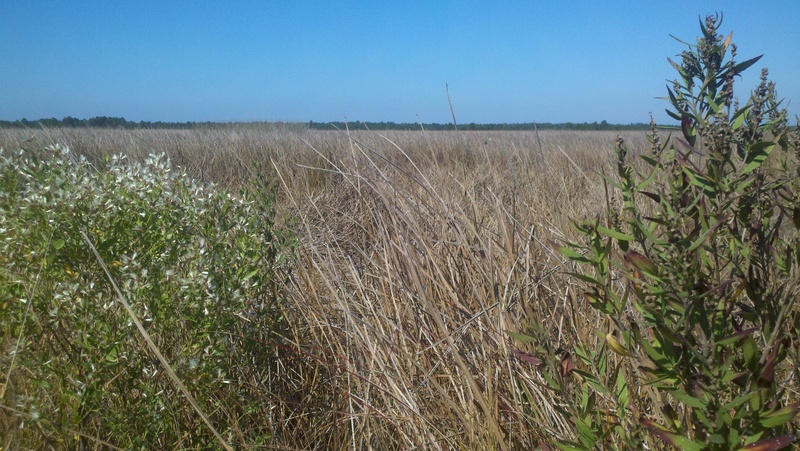 Studies have shown that a marsh 10′ across from water to land can remove 90% of the nutrients running off. 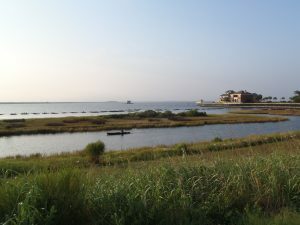 Nutrients can trigger hypereutrophic conditions in the bay – which can lead to algal blooms – which can lead to low dissolved oxygen – which can lead to fish kills and seagrass loss. In addition to removing nutrients, marshes and mangroves can remove a variety of other contaminants and plastics. 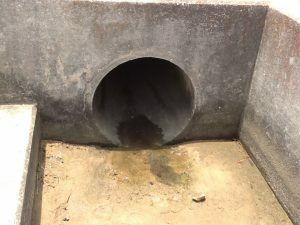 Many sewage treatment facilities discharge their treated effluent through the coastal plant communities before it reaches the bay, thus improving water quality. 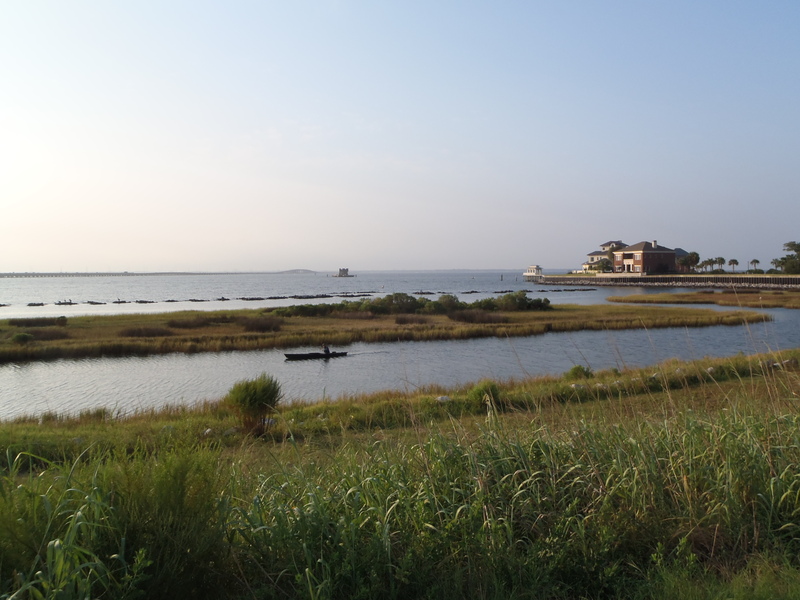 We know that restoring a living shoreline will enhance the biological productivity of the bay. Studies have shown that swamps and marshes can produce an annual mean net primary production of between 8000 – 9000 kcal/m2/year, which is equivalent to tropical rainforest and the open estuary itself. Finally, living shorelines will stabilize erosion issues, much longer than seawalls and other harden structures. Studies have shown that seawalls will eventually give in. Wave energy is increased when it meets the wall and reflects back. This generates higher energy waves that decrease seagrasses and actually begins to remove sediment around the wall itself. You will see the land begin to erode behind the wall and eventually it begins to fall forward into the bay. The east coast of Florida recently experienced this during hurricane Irma. Interestingly the west coast experienced negative tides. The exposure of these seawalls to an empty bay had the same effect. Without the water pressure to hold them, they began to crack and fall forward. A living shoreline can sustain all of this. So how do restore my shoreline? You will need a permit. The state of Florida owns land from the mean high tide seaward. To plant above this line you do not need a permit, but you will want to plant at and below to truly restore and benefit from the services. Permitting can be simple or complicated – each property is different. Visit http://escambia.ifas.ufl.edu/permitting-living-shorelines/ to learn more about the process. You will need plants. There are a few nurseries that provide the needed species. There is a zonation to the plant community and it is important to put the right plant in the right place. The above link can help with this and the Extension office is happy to visit your location and give recommendations. You will need to plant them. 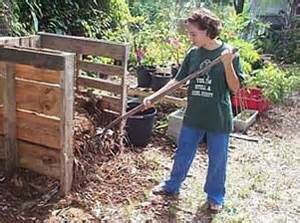 Fall and spring are good planting times. A recent project we helped with planted in April and it has been very successful. You may want to monitor the success of your project. This not needed, but if interested the Extension office we can show how to do this.I certainly understand why many would rather remove these shoreline ecosystems, but I think you can see the benefits outweigh the problems. It is not an all or none deal. 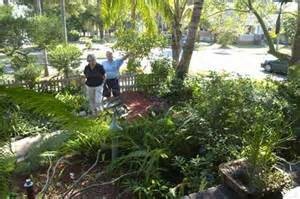 Living shorelines can be designed to allow water access. If interested in learning more contact your county Extension office. I certainly understand why many would rather remove these shoreline ecosystems, but I think you can see the benefits outweigh the problems. It is not an all or none deal. Living shorelines can be designed to allow water access. If interested in learning more contact your county Extension office. 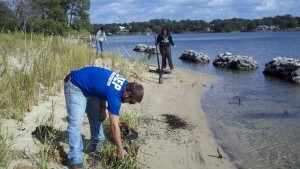 Permitting a Living Shoreline; can a living shoreline work for you? http://escambia.ifas.ufl.edu/permitting-living-shorelines/. Miller Jr., G.T., S.E. Spoolman. 2011. 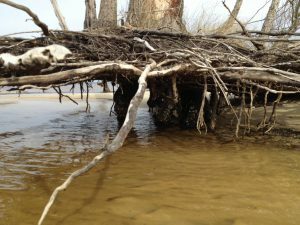 Living in the Environment: Concepts, Connections, and Solutions. 16th edition. Brooks and Cole Cengage Learning. Pp. 674. Sharma, S. J. Goff, J. Cebrian, C. Ferraro. 2016. A Hybrid Shoreline Stabilization Technique: Impact of Modified Intertidal Reefs on Marsh Expansion and Nekton Habitat in the Northern Gulf of Mexico. Ecological Engineering 90. Pp 352-360.